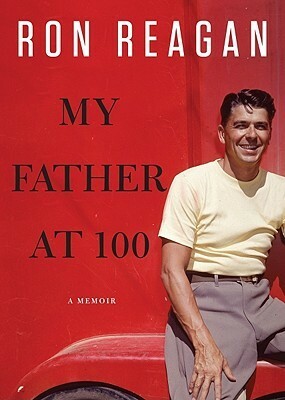 Ron Reagan celebrates the centenary of his father’s birth by taking us on a trip to the small towns that made his father the man we know as one of the most beloved presidents in history. Ron traveled to these towns and shares his experiences along with many stories he heard his father tell over the years. The journey before Hollywood, Sacramento and Washington D.C. that shaped Ronald Reagan into the man we got to know later in his life when he hit the public spotlight. The love Ron Reagan has for his father just flows off these pages. He takes us back in time and shares with us the life of Ronald Reagan from the very start. This is not a book about Ronald Reagan the politician or Ronald Reagan the actor although a bit of that is mentioned. This is a story of Ronald “Dutch” Reagan, the boy, the young man, and how his life growing up in Illinois brought him to be the man we came to know as an actor, a Governor and a President, from the very beginning when his ancestors came to the United States. Ronald Reagan, the child of a what would be called today a dysfunctional family became a local hero, the lifeguard and the football player. A man who even when everything was against him he always tried to do what was right. He set a very high standard for himself and while like all of us, he had is faults, he tried to be the best he could be every day and in every way. This book is a loving tribute by a son about his father. Ron Jr. admits he didn’t completely understand his father and wishes he would have listened closer to his dad’s stories and spent more time talking about the past before the Alzheimer’s started to take over. I think this book turned in a different direction than what was originally planned. He may have had some unresolved conflict he needed to work out after his dad passed away. Not only did the readers learn much about Ronald “Dutch” Reagan but the author did as well. Ronald Prescott “Ron” Reagan (born May 20, 1958) sometimes known as Ronald Reagan Jr., is a former talk radio host and political analyst for KIRO radio and later, Air America Radio. His Ron Reagan Show was a daily three-hour show broadcast from 6–9 PM (ET). He is notable for his liberal or progressive views, despite being the son of a conservative icon, President Ronald Reagan.